According to the Texas Medical Board website, the psychiatrist treating children at a facility in Texas has not yet updated the board on the status of his certification as required by its rules. The psychiatrist who has been prescribing powerful psychotropic medications to immigrant children at a federally funded residential treatment center in Texas has practiced without board certification to treat children and adolescents for nearly a decade, records show. On the Texas Medical Board’s website, though, Dr. Javier Ruíz-Nazario reported he had that specialized certification for treating children and adolescents. However, according to the website, he has not yet updated the board on the status of this board certification as required by its rules. Ruíz-Nazario’s name appears on various court documents that allege troubling practices at the Shiloh Treatment Center south of Houston, including affidavits in class-action settlement motions in which children claim they were tackled and injected and forced to take pills identified as vitamins that made them dizzy and drowsy. Many of the records specifically name Ruíz-Nazario as the doctor who prescribed the medication. The treatment center is operated by one of at least a dozen government contractors with turbulent histories that house children detained by U.S. Customs and Border Protection. To become board certified in child and adolescent psychiatry, doctors must prove they can perform an age-appropriate psychiatric interview, among other things, and pass an exam. Maintaining certification requires continuing education and a new exam. The federal government no longer requires psychiatrists who treat children in Office of Refugee Resettlement-contracted shelters to be board certified. However, federal officials have told a federal judge that drugs are prescribed to children at Shiloh by a psychiatrist who is board certified to treat them, according to records reviewed by Reveal. A congressman from Texas, U.S. Rep. Pete Olson, called Monday for Shiloh’s closure after learning about children being drugged with psychotropic medications there. Olson’s statement, provided to Reveal, also referred to reports of serious issues at facilities linked to Shiloh stretching back years, as reported by the Houston Chronicle and other news outlets in the state. “In light of this facility’s troubling history and current accusations, I recommend the closure of this facility and the removal of these children to a safer location until these accusations can be properly addressed. I have been in contact with local and state officials and stand ready to work with them to develop a safe resolution to protect these children. Regardless of where they come from, no child should be placed in physical danger,” said Olson, a Republican elected to Congress in 2009. Dr. Bandy X. Lee, a forensic psychiatrist at the Yale School of Medicine, told Reveal that Ruíz-Nazario’s lack of certification says something about Shiloh. “Highly reputable facilities require board certification, less reputable don’t require it,” Lee said. Neither officials from Shiloh nor Ruíz-Nazario returned calls seeking comment. Shiloh is categorized as a residential treatment center by the Office of Refugee Resettlement, and gained its first contract to house unaccompanied immigrant minors in 2013. Although the resettlement office previously had required board certification for grant applicants as part of a “culturally competent interdisciplinary team,” months before Shiloh received its first payment, the agency dropped that requirement. In a letter to attorneys in a lawsuit, dated April 2, 2018, an official with the federal resettlement agency makes three references to a “board certified” psychiatrist working at Shiloh. The federal Flores settlement, stemming from a lawsuit first filed in 1997, places certain requirements on the federal government regarding detention and treatment of unaccompanied immigrant children. Attorneys representing immigrant children filed motions in the case in April, asking a federal judge to halt the “continuum of trauma” that includes forcing children to take psychotropic medication at Shiloh. “It is Shiloh’s policy that, in addition to monthly reviews of all their medication orders, on at least a quarterly basis, the board certified child and adolescent psychiatrists who contract with Shiloh to provide psychiatric care for (unaccompanied immigrant children and other residents) review current prescriptions of psychotropic medications,” states the letter sent to Flores counsel by James S. De La Cruz, senior federal field specialist supervisor with the Office of Refugee Resettlement’s division of children’s services. When reached by phone, De La Cruz said he couldn’t comment and encouraged Reveal to send an email for response. Neither De La Cruz nor the resettlement agency responded by deadline. More than 2,000 of the 12,000 children held in these shelters across the nation were deemed “unaccompanied” during the past two months after being separated from their parents under President Donald Trump’s family separation policy. 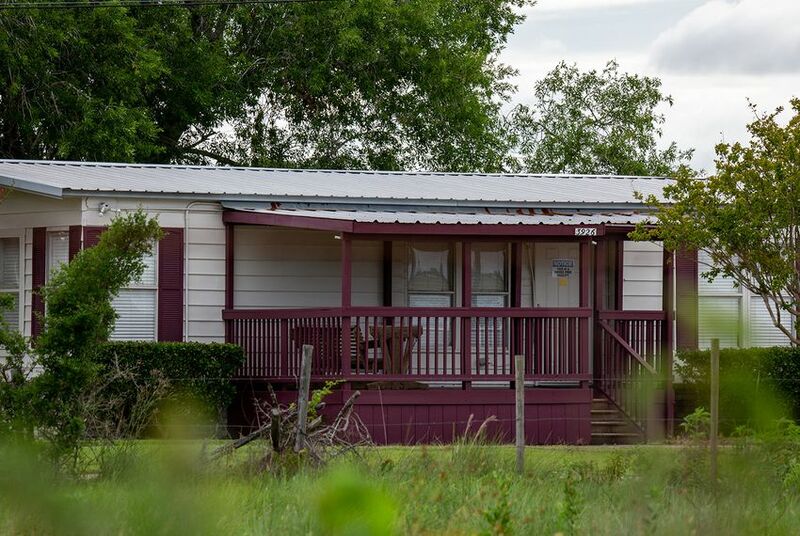 The Shiloh facility is licensed to house up to 44 children in a collection of trailers and small buildings near Manvel, Texas. Records obtained by Reveal indicate that up to 32 of them can be immigrant children. Ruíz-Nazario’s name appears on multiple medical records reviewed by Reveal in connection with a now-10-year-old boy medicated at Shiloh for nearly six months, ending in April. His mother says she never gave consent for her son to be medicated. In court filings, officials with the Office of Refugee Resettlement – the federal agency charged with overseeing unaccompanied minors – claim the agency doesn’t need parents’ permission to drug children in its custody in certain emergency situations. Attorneys representing immigrant children claim staff at Shiloh and other facilities routinely sign consent forms granting themselves authority to administer psychotropic drugs. Ruíz-Nazario was board certified in adult psychiatry in 1998 and recertified in 2008 – a certificate that remains valid through the end of this year. Ruíz-Nazario also has a current license from the Texas Medical Board, which indicates no actions or restrictions and no investigations into medical malpractice. His medical license, first granted by the state in 1990, remains active. Records also show he was issued a certificate for child and adolescent psychiatry on Nov. 11, 2000. But he lost that certification a decade later, at the end of 2010, when he failed to complete the board’s requirements, which include continuing education courses and an exam, records show. While the state’s medical board verifies basic information about doctors, including medical degrees, other information on physician profiles is self-reported, including board certification. The doctor also has received payments from drug companies that manufacture psychotropic drugs being given to children at Shiloh. The government requires drug companies to report what they spend on doctors’ meals and drinks to “shed light on the nature and extent of these financial relationships and … hopefully discourage the development of inappropriate relationships” that influence professional judgment, states the federal website that tracks the payments. According to ProPublica’s Dollars for Docs database, Ruíz-Nazario received $2,576 between 2013 and 2015 from drug companies, including those that manufacture psychotropics such as Seroquel XR, Latuda and Zoloft. All three brand-name drugs were prescribed to children at Shiloh in 2016, when Ruíz-Nazario was listed as the physician in court records. Shiloh is owned and operated by the same entity that operated a now-closed child care facility, Daystar Treatment Center, also just outside Manvel, Texas. Reveal reviewed records from the Texas Medical Board site for physicians listing Shiloh as their practice site, and none are currently board certified in child and adolescent psychiatry. The affidavit continues, describing how staff would tranquilize children who misbehaved with shots. Reporters Will Evans, Vanessa Swales, Matt Smith and Patrick Michels contributed to this story.